Whether retrofitting an existing structure or designing and constructing a record-setting skyscraper, today’s buildings demand sustainable solutions. For the past century, Carrier has lead the industry with a whole building approach that leverages their technological and engineering expertise. Carrier building solutions are designed to meet the requirements of a variety of building types and applications. But they do share one thing in common: the need to do more with less. 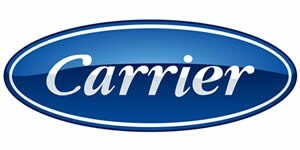 Carrier’s total solutions deliver industry-leading performance with less energy and lower environmental impact. With superior quality and performance, the decision to partner with Carrier for building solutions is an easy one. 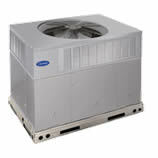 Carrier makes installing and servicing those solutions simple as well. Understanding that proper building control and maintenance can help manage costs and maintain high standards for energy efficiency, Carrier provides the services needed for optimal performance. These include automated building systems, vibration testing, thermal imaging, remote monitoring and other services to help achieve maximum efficiency. As founding company number one of the U.S. Green Building Council® (USGBC), Carrier has been a leader in green building from the beginning. Carrier serves as consultants on some of the world’s most advanced green building projects and offers green building training and education services to customers and employees across the globe through the Carrier University Institute for Sustainability. Carrier is also USGBC’s largest LEED® education provider.